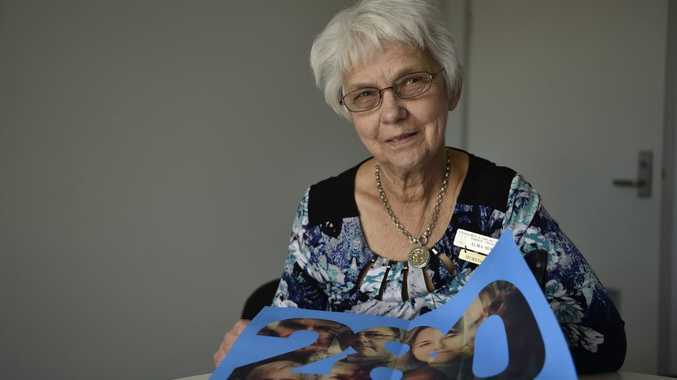 DIABETES sufferer Alma Moore knows just how hard living with the condition can be. Ms Moore was diagnosed with type 1 diabetes in 1968 and has lived with it for the past 47 years. She said after living with diabetes for so long she decided to own her condition. "The only way to live with diabetes is to own it," Ms Moore said. "It has to be your diabetes - not your family's or your doctor's diabetes. "You are in control of it and you have to make sure you know what works for you. "Diabetics live with the condition 24/7. It is always on my mind. "You have to watch what you eat and make sure you eat regularly so you don't end up passing out," she said. Do you know someone living with diabetes? This poll ended on 21 July 2015. Ms Moore said it was important to raise awareness for diabetes. "A lot of people don't know the complications that can come from being a diabetic," Ms Moore said. "You can have a heart attack, a stroke, it can cause blindness and even poor circulation in lower limbs can cause amputation. "More than 280 Australians are diagnosed each day so it is important that people are aware of how serious the condition can be," she said. Ms Moore is the secretary of the Toowoomba and Darling Downs Diabetic Group. The group meets on the second Wednesday of each month at the Masonic Hall on Neil St from 1.30pm to 3.30pm. The meetings offer support and encouragement for newly diagnosed or long term diabetics and their carers. "We try to keep members up to date with the latest diabetic research and we also have guest speakers and discussion groups," Ms Moore said. "Everyone is invited to come along," she said. For more information on the Toowoomba and Darling Downs Diabetic Group phone 0427306215.